"Then we heard screaming ... everyone panicked. There was shooting and shooting and shooting ... people were running and all of a sudden you saw them fall." "She [his friend's wife] got the bullet, her husband got away. She was gone, she was no more." 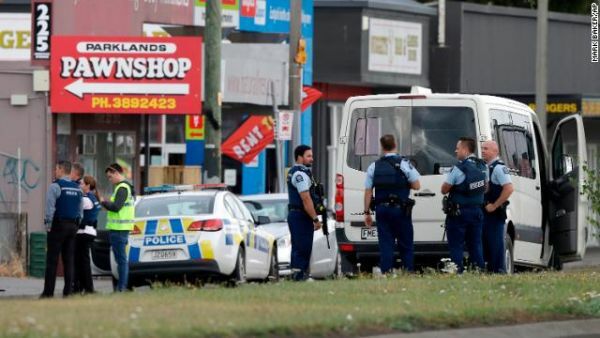 "Many of those directly affected by this shooting may be migrants to New Zealand, they may even be refugees here." "They have chosen to make New Zealand their home. It is their home. They are us." "The person who has perpetrated this violence against us is not. They have no place in New Zealand." "It is clear that this is one of New Zealand's darkest days. Clearly, what has happened here is an extraordinary and unprecedented act of violence." "Extremist groups are not in the business of conversation, they are in the business of staking out their ideas, stoking fears and apprehensions." "They need to justify their action. How? They are not going to appeal to broader society but that's not their target audience, you think they are a hopeless cause." "You want to be able to at least tell people who think like you, or [are] somewhat sympathetic to you." 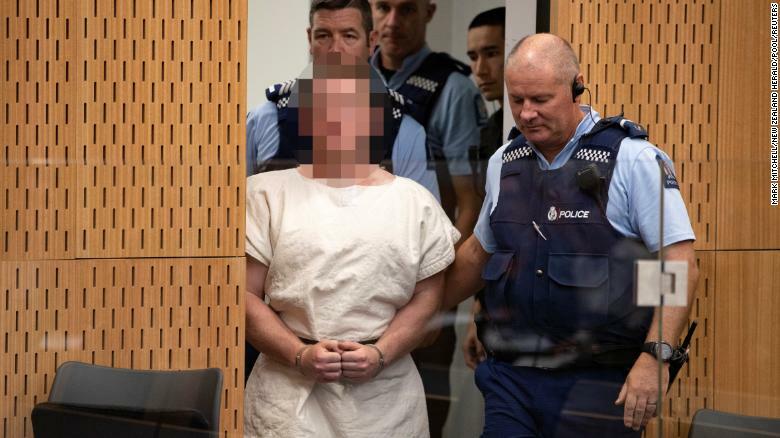 Mr. Bokhari is directly addressing the issue of Australian Brenton Tarrant, the 28 year old who released his manifesto online before killing 49 people in Christchurch, New Zealand on Friday. He might, in point of fact, have been speaking of the better-known group called the Islamic State of Iraq and the Levant. Whose followers are infinitely more numerous and statistically speaking, infinitely more murderous, although Brenton Tarrant certainly made an effort to increase the numbers whose lives he took. "Mass immigration will disenfranchise us, subvert our nations, destroy our communities, destroy our ethnic binds, destroy our cultures, destroy our peoples." "If not combated [it] will ultimately result in the complete racial and cultural replacement of the European people." "[This is a] civilizational paradigm shift." "It's the birthrates. It's the birthrates. It's the birthrates." This is a mass murderer. He is a man who hates so ardently that he deliberately set about to cause an atrocity of starkly barbarian proportions. There are issues so grave that conscience is laid aside as the perpetrator blocks his moral conscience and elevates the passion of his determination to slaughter in the name of all he deems worth defending. "We must ensure the existence of our people, and a future for white children", the avowed fascist insisted. And he set about that process by planning the murder of innocent people at prayer. 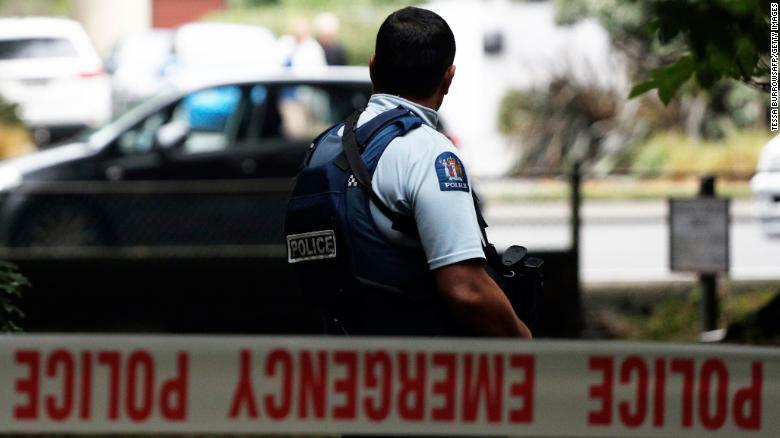 He released a 17-minute video, a life-action account of what he set out to do via a video camera mounted on a helmet he wore when he entered the Al Noor mosque in central Christchurch brandishing a long gun and identifying helpless targets. "Hello, brother", one of his innocent victims-to-be greeted him, the first of the victims, as he shot relentlessly at panicked people attempting to preserve their lives by running about seeking shelter where none was to be found. People crouching in fear, attempting to hide in corners, hoping to make themselves inconspicuous, none of it helped; he turned to their direction, fired and they expired. In several minutes of panic and action, dozens of people left this mortal coil. And he felt he was in need of a change of firearms, so he left the mosque, selected alternate weapons from the trunk of his vehicle and fired at bystanders, killing a woman he had already shot who was creeping about outside, calling 'help me, help me, help me'. He shot 41 people altogether at the Al Noor mosque, small children among them. Then he arrived a short distance away at Linwood Mosque where he shot another seven people. "Just around the entrance door [of the second mosque] there were elderly people sitting there praying and he just started shooting at them", explained Syed Mazharuddin who witnessed the gunman being rushed by a young man who worked at the mosque who wrestled a weapon away from the shooter. The young man ran after the killer, attempting to fire the gun, but failing as he fled: "There were people waiting for him in the car and he fled". Two improvised bombs were later found in a car and deactivated by a military team. Shortly afterward police arrested their suspect when they stopped a vehicle, pushing it half off the road, then yanked the man from the car, wrestling him to the ground, guns pointed at him. As for his contention in his posted manifesto that mass immigration will result in the obliteration of traditions, communities, ethnic ties, cultures, that is an observation that is certainly in the process of occurring as increasing numbers of Africans, Asians,l Middle Easterners, practising Muslims all, infiltrate non-Muslim countries of the West. They immigrate, they migrate, they become refugees when Muslim-majority countries see civilized conduct disintegrating as their leaders look on complacently. That is a reflection of reality. And that this man who murdered so many innocent people is a barbaric psychopath is another reality.